Make an offer!! Sellers are motivated as the tax assessment is $113,000. GREAT PRICE FOR THIS RANCH Style home for sale in Basford Manord Gard. Interior Features include a Family Room with large picture window, Eat-in Kitchen, 2 Bedrooms, and 2 Full Baths (one on the main level one in the basement), the Basement also has a family room, bar, & laundry room. Exterior features include a 2 car detached garage and a patio. 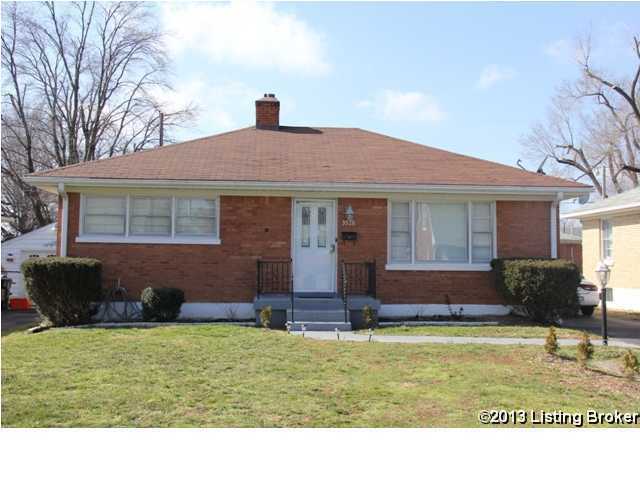 Make your showing appointments today & Grab up this home for UNDER $100K! Bashford Manor Gard is a subdivision within the city of Louisville, Kentucky. There are currently 0 Homes for Sale within Bashford Manor Gard, with asking prices ranging from $0 to $0. The average list price per square foot of the available inventory in Bashford Manor Gard is $0, which is the Louisville average of $154. The Average Sales price of all sold real estate in this subdivision for the past year is $150,317. Recent comparable homes have been selling for 98.53% of their asking price. Waterfront homes represent of the available Bashford Manor Gard inventory. The population of Louisville, according to the 2010 Census, is 597,337. The total number of households in the zip code of Bashford Manor Gard is 13,533, with an average household size for of 2.30 people. The total number of renter households within the zip code of 40218 is 6,472, which means that 52.18% of households in this zipcode are owner occupant households. 3528 Mayo Dr, Louisville KY 40218 is a Home, with 2 bedrooms which is recently sold, it has 1,729 sqft, <1/4ACRE sized lot, and 2 Car Garage,Detached,Driveway parking. A comparable Other, has bedrooms and 0 baths, it was built in and is located at and for sale by its owner at $ 0. This home is located in the city of , in zip code , this County Other, it is in the Subdivision, and RANGELAND are nearby neighborhoods.